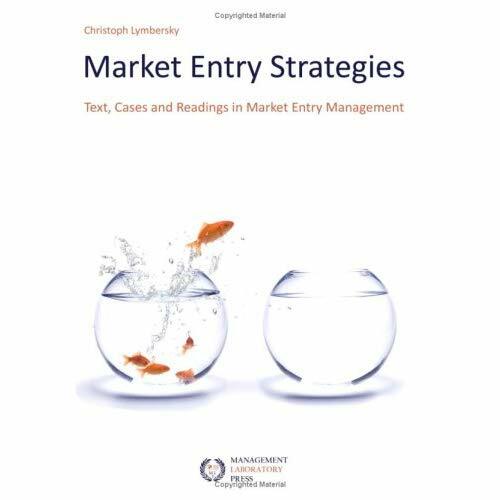 Chrisoph Lymbersky of the Management Laboratory Press has recently published a new title focusing on market entry management. The book is aimed at students and business personnel interested in areas such as market entry and overseas product launches. As well as covering the basics of thinking internationally the book also emphasises global efficiencies and its components. A large section of the book covers the area of intercultural communication demonstrating the author’s belief that such competencies are integral to succeeding on the international stage. This section introduces the idea of thinking through the essential components of having an international strategy. It explores different types of strategies, SWOT analysis, goals and potential problems. Part two provides a thorough overview of how to analyse foreign markets in terms of market potential, competition, legal structures, politics, sociocultural factors and possible barriers. The third section offers more in-depth and specific information on how to get a product or service into a new market. Topics covered include mode of entry, exporting, government policies, distribution, using intermediaries, joint ventures and licensing. The section also provides useful case studies from companies such as Calvin Klein and Virgin. The last section concerns culture and cross-cultural awareness. Initially introducing the basics of cultural differences via the models of Hofstede, the author then goes on to explore how culture can impact market entry through issues such as language, culture shock, negotiations and M&As. This section ends with country profiles as written by Kwintessential offering cultural awareness tips for business personnel travelling abroad. Christoph Lymbersky is head of the Management Laboratory as well as a consultant to start-up companies. He has lived, worked and done research in Germany, France, Australia and the US. His experience covers companies such as IBM and Wal-Mart as well as founding businesses such as COMODEX Internet and B2B Network.